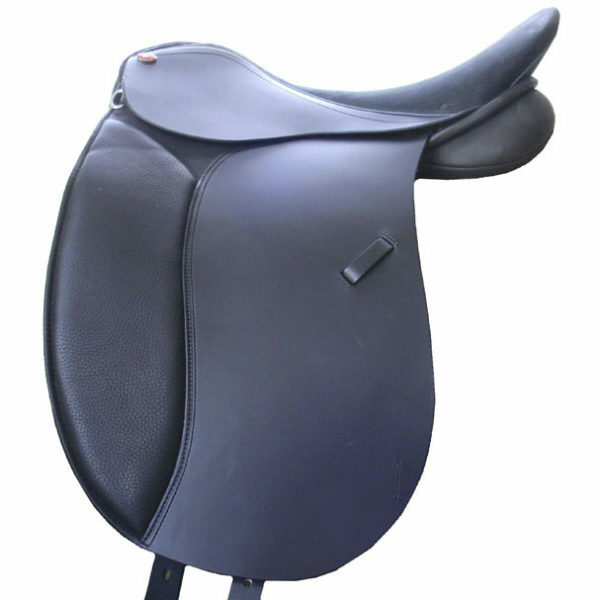 The versatile Largo saddle is one of medium seat depth. (Fidelio having the deepest seat). Pretty, soft gray piping around the seat – subtle but elegant! I got my Largo saddle several weeks ago and I really like it. It fits both of my wide mares, a Georgian Grande and an Azteca. 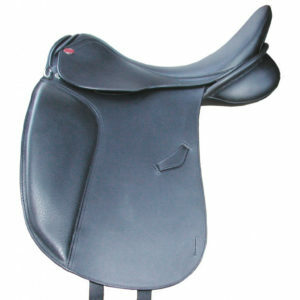 What I like most about this saddle is the open seat. 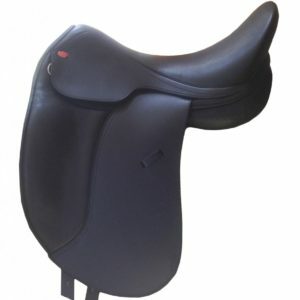 I tried several other saddle brands before finding Duett, and some of those saddles were super expensive. They fit my horse, but the seats were so deep I couldn’t move. If you have a wide horse, you know what I’m talking about! The Largo is really balanced, my leg can hang straight down and the knee blocks are supportive, but not restrictive. I got the saddle with the nubuck seat and I like it. It gives me the security that I think people are looking for when they get those deep seats, without feeling like I’m stuck. 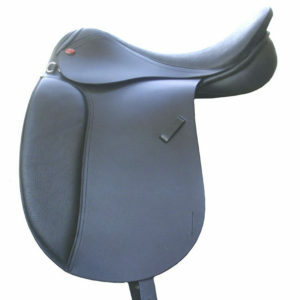 I feel like I could pop over a small jump in this saddle no problem, and I ride it on trails very comfortably, too. The leather on this saddle is going to last for a long time, I can tell. It is already nice, but will break in even better over time. I’m very happy with my purchase and Duett was a pleasure to work with. Thanks so much, Meg! 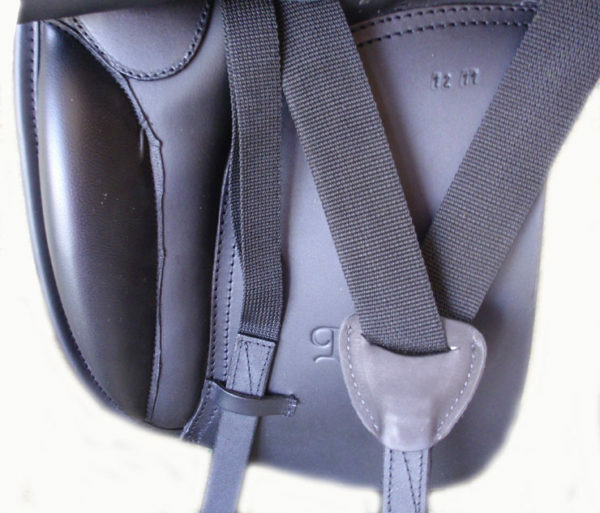 We’re so pleased that you’re so happy with your Largo dressage saddle!